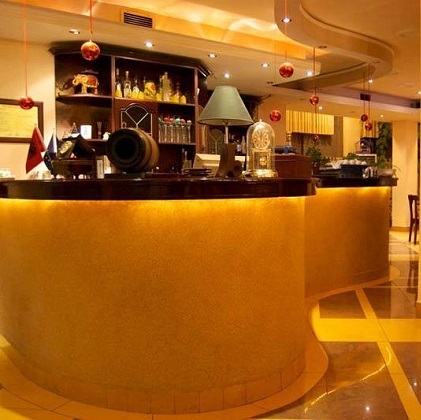 Hotel and Restaurant Baron is a family business which constantly tries to meet the desires and demands of its customers. 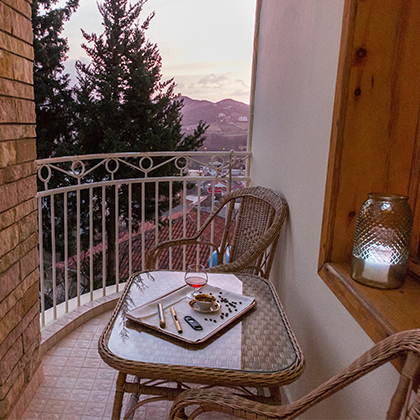 Our Hotel is in the middle of Albania and is in an area characterized by a harmony with nature just 3 km outside the center of Tirana. 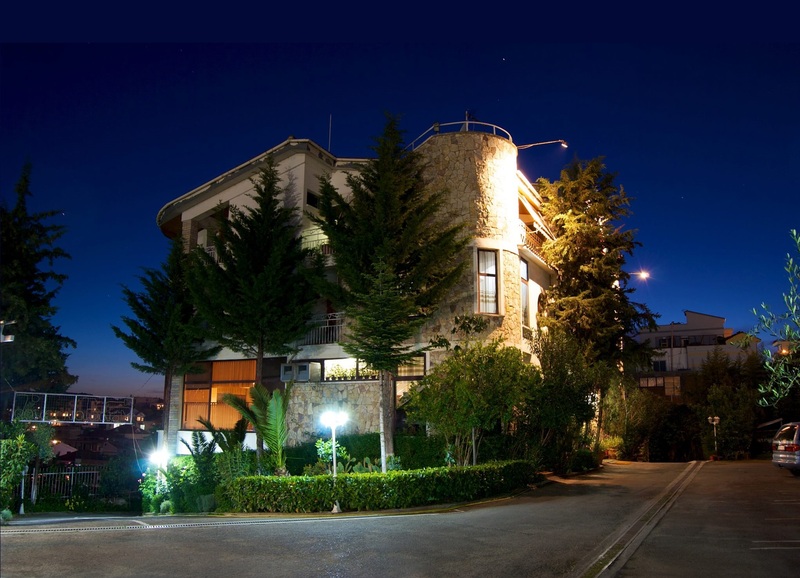 Built in 1997 preserving the traditional Albanian architecture, Hotel has 4 floors and has 20 rooms which are divided into the following categories: single, double and family-rooms. 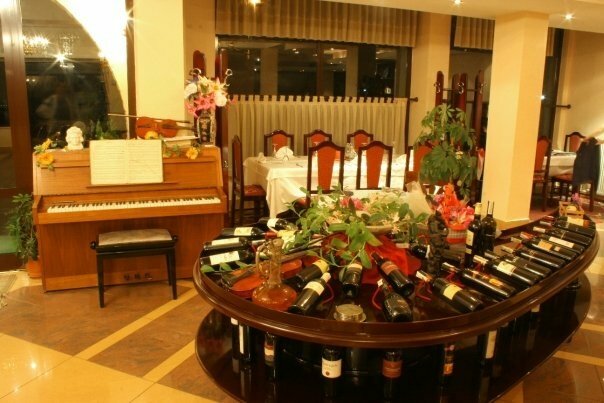 Our restaurant offers traditional and European cuisine, a kitchen that best expresses the art of tasting. We wish to have the honor to welcome you soon at our premises. 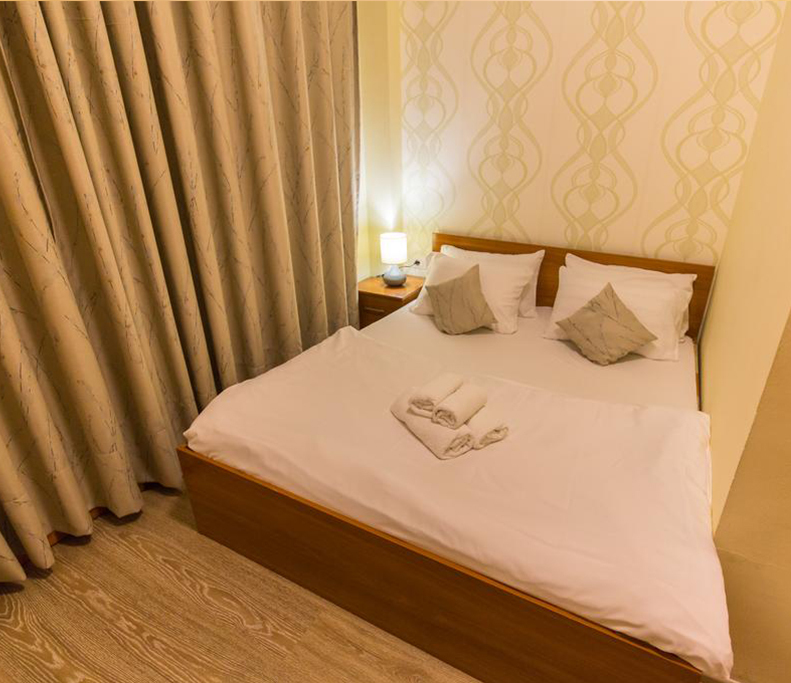 This room has a double bed and is suitable for a couple. It has a balcony and many other facilities for a perfect vacation. 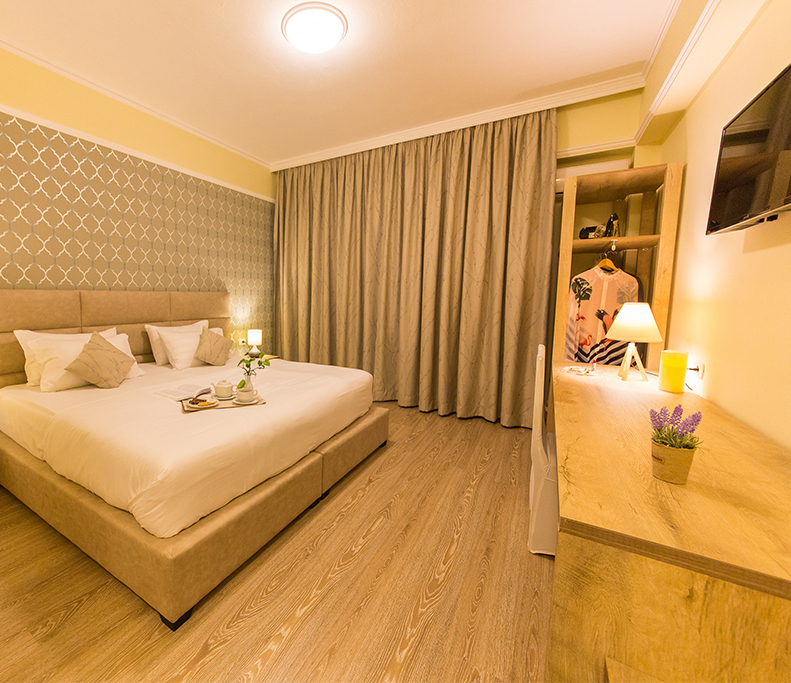 This room has a two single beds and is suitable for two persons. It has a balcony and many other facilities for a perfect vacation. 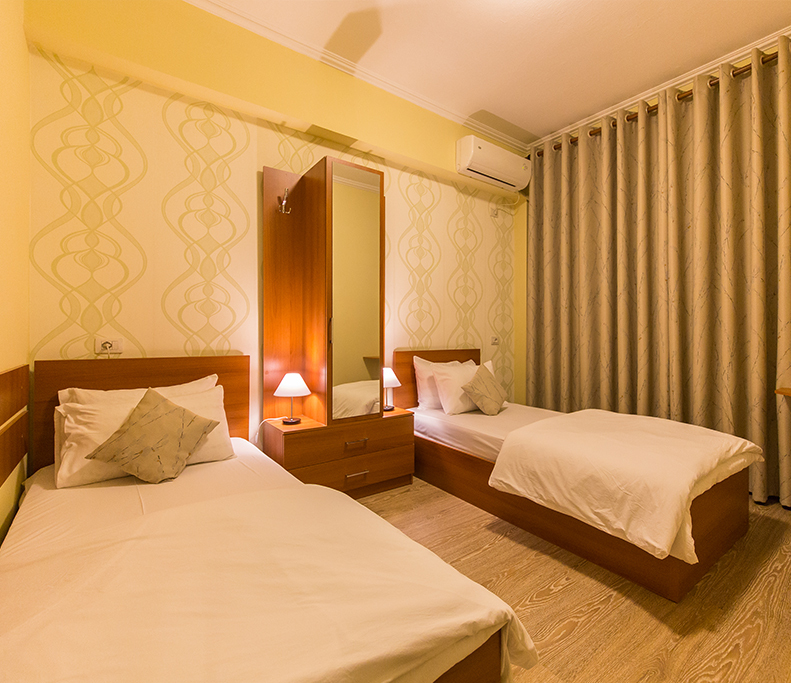 This room has a three single beds suitable for three persons. It has a balcony and many other facilities for a perfect vacation. 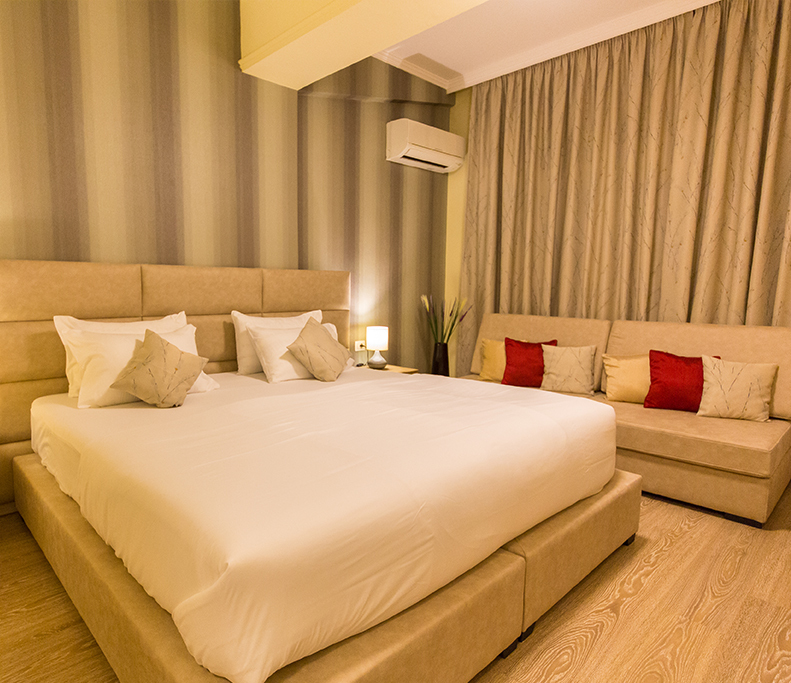 This room has a double bed and two single beds. It has a balcony and many other facilities for a perfect vacation. This room has a double bed. It has a balcony and many other facilities for a perfect vacation. 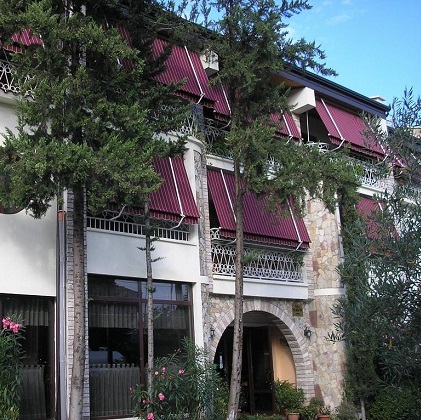 Since 1997 with a traditional Albanian architecture. 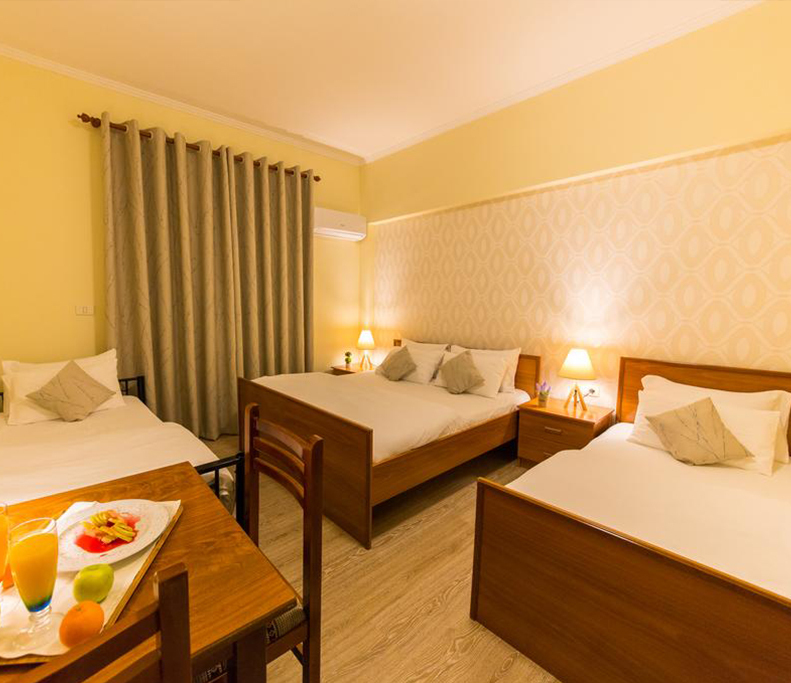 At Baron Hotel you will feel the warm family atmosphere, staying at a relaxing environment and enjoying delicious meals that we offer for you.. Traditional and mediterranean dishes cooked with delicacy by our chef will make your stay unforgettable. 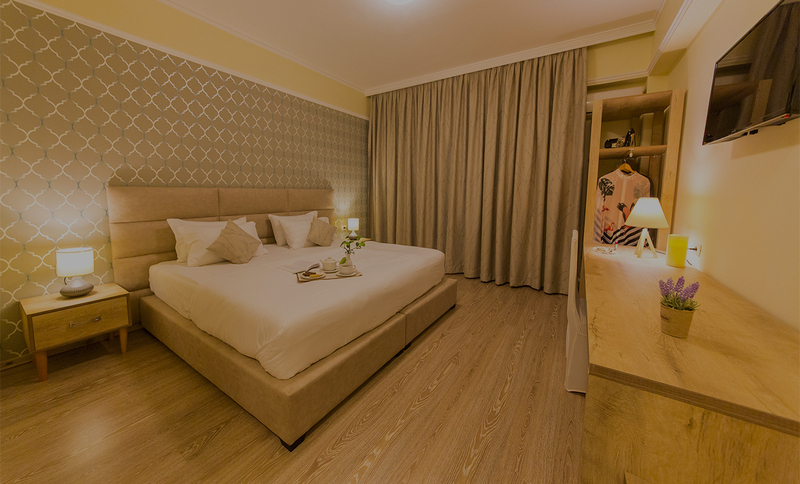 Hotel Baron is a family business which constantly tries to meet the desires and demands of its customers. 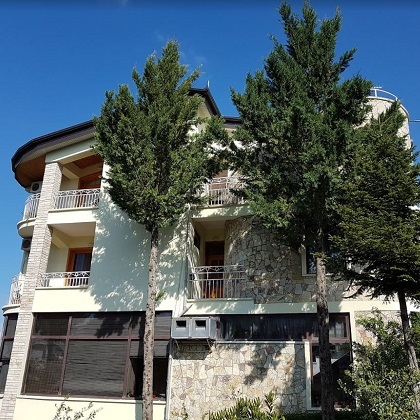 Our Hotel is in the middle of Albania and is in an area characterized by a harmony with nature just 3 km outside the center of Tirana.